Sharon had gone through some major medical issues in which she was unable to care for her teeth. When she recovered she had a mouthful of decay. She and her previous dentist agreed it would be better for her to have all her teeth extracted. She decided to go to one of those places that advertise cheap denture, but when she came to me she could not wear dentures at all. She had a mouthful of bone spurs and sore spots. When they removed her teeth they did so in such a way that they did not preserve any bone and they did not smooth the bone down for her to wear dentures without pain. 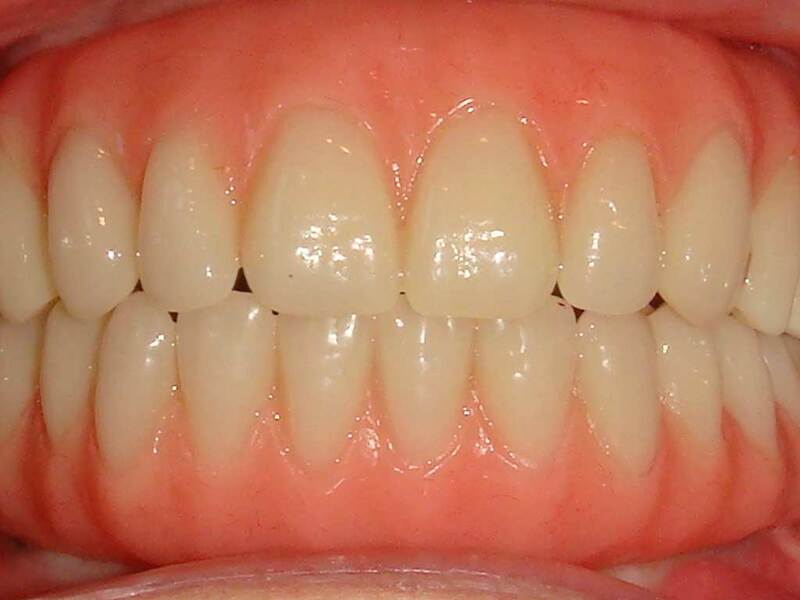 Together, we decided on making her implant supported dentures, known as hybrid dentures. I took impressions and CAT scans of both her arches and worked with an amazing lab – InSequence out of Reno Nevada. 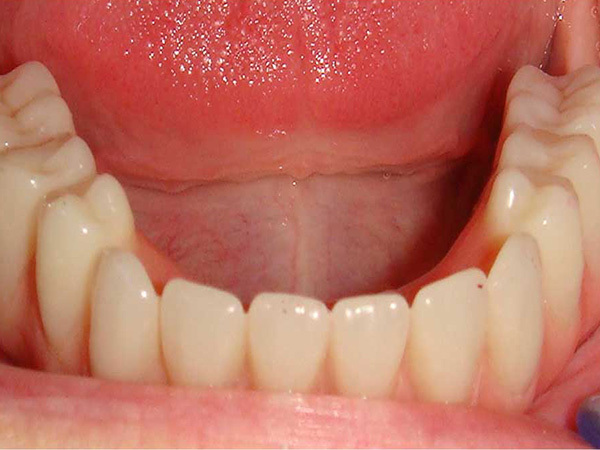 They used our CT scans and impressions to digitally create surgical guides and a long-term provisional prosthesis. With Sharon comfortable under IV sedation, I removed all her bone spurs, placed ten dental implants, and delivered her new long-term temporary prosthetic. 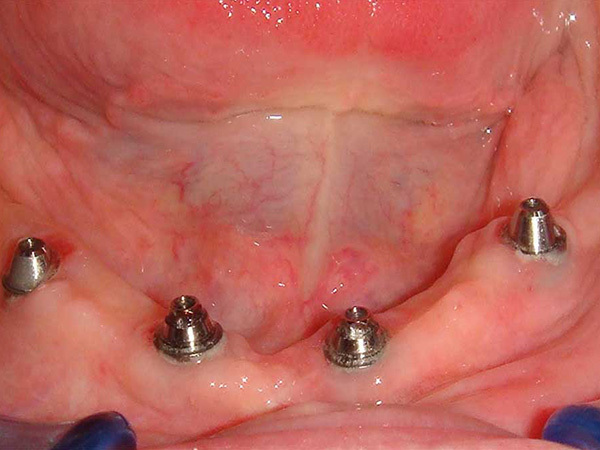 The temporary denture is screwed into the implants and does not come out. The whole surgery takes about two hours per jaw. Over the next few months we adjusted her bite and allowed her jaw to heal up. 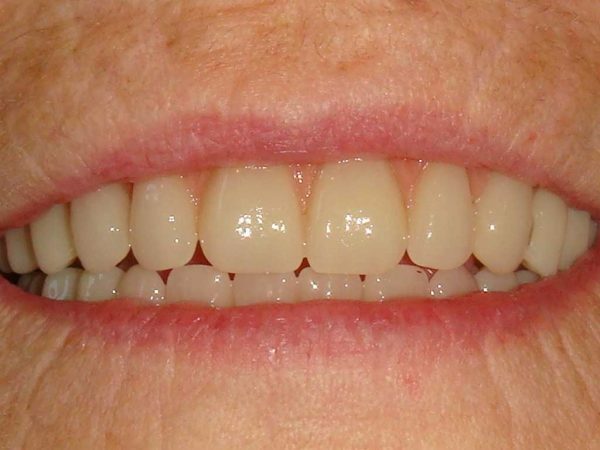 After four months of healing we took new impressions and made her Hybrid Implants Dentures. Sharon is very happy with the result and everything worked like clock work. The process done by this lab is amazing and at the next level. They are the only ones doing this at this time. This is called all-on-X or teeth-in-a-day. There are a couple of appointments for records prior to surgery, but day of surgery the patient is walking out with teeth that are fixed in to the implants and don’t move.